***Movie-lore. A Blog on mainstream Movie-lore, Topics from the World of Cinema.ser/httpnandansmovi: Top 10 of my Best Movies genre-wise. *Crime/Gangster genre. genre & the affect of the Motion-Pic code in the 1930s & the post-prohibition era's affect on this genre of Movies. Genres if chosen in the list shall be broadly of the following types, namely Silent era, Action (Disaster), Westerns, Comedy, Crime/Gangster, Musical, Horror, Social, Romance, Sci-Fi, War, Suspense, Film-Noir, Documentary, Animation, Foreign language, Documentary, Disaster, Epic, Myth, Sports, Cult, Musicals, & Movies that can b viewed with children or family can b from any of these genres. There r various sub-genres which can b found following the link: amc Film-site by Tom Dirks. Therefore, since understanding movies from various angles is a must in order to understand to categorize it into good or bad films a film's relevance to history, narrative, choice of dialogues, & portraying a community, & relevance is of utmost importance through which judging a film of its value can b weighed with examples. For e.g. Scarface (1983) that starred Al Pacino, Michelle Pfeiffer, ia considered as an excellent flick having a cult-following among many. But in my view of this Brian dePalma film who has made great movies like, 'Carrie(76) 'Casualties of War'(89);'The Untouchables'(87);' Dressed to Kill', 'The Bonfire of the Vanities(90)' & 'MI' with Tom Cruise.. His love for films started after watching & drawing inspiration from Citizen Cane(40) Dir by Orson Welles, & the Master of Suspense Hitchcock's 'Vertigo', the story of a detective suffering from acrophobia whose style impressed DePalma deeply. In my view Scarface is historically incorrect because Scarface was a name related to the Crime Czar of America during the prohibition era, as shown in his film 'The Untouchables.' The negativity shown in the film about the American-Cuban's settled in Miami as a crime filled society & eulogizing the foul-mouthed Tony Montana & his criminal activities was uncalled for. 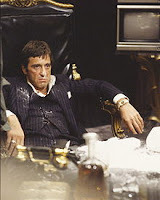 The incestuous & sexual innuendo's element in the film, with a large dump of cocaine snuffing Montana is despicable. Also the funny tune of speech adds to its dark & depressing aura in this film. It was a total contrast to Howard Hughes 1932 film Scarface is considered a great classic film from the gangster/crime genre aka 'Shame of a Nation', the 1st release was having problems with the censor board as it glorified the gangsters. A Motion-Pic code adopted by all the leading studio owners & executives, mainly to end govt interference. Finally after an alternate editing got the film was released. After the Hollywood adopted the code in a bid to clean Hollywood of its bad name, mainly in the crime genre, was now seen as a social problem affecting urban America. The movies made after this code was enforced in the Movies firstly of not glorifying the gangster, brought to the genre significant changes in refining the contents with the 'Crime never Pays' theme & death of the gangster as the ultimate result of redemption for living a life of a gangster. The role of James Cagney & Edward G.Robinson contributed in this genre's popularity & at its zenith in the 1930s these actors had become cult figures. Some of the greatest films of this genre are Mervyn Le Roy's **Little Caesar(30); William Wellman's Public Enemy(31); Howard Hawk's Scarface(32), in the early 30s. Though pioneers of the Industry like Griffith, Lewis Milestone, Josef Von Sternberg, did make movies in the gangster genre with Griffiths "The Musketeers of Pig Alley"(1912) a silent era film can b regarded as the 1st film to fully exploit urban-based crime for its plot, the other 2 were prototypes that would lay the foundation for the gangster genre. The result of this genre's refined style & conventions had reached its highest popularity during the 30s with the of the Motion-Pics code being enforced after the public outcry & success of these movie's** received after its release. The popularity of this genre grew, having no literary source, the films were based on narratives derived from events taking place in shadowy American metros, mostly during the Prohibition & the economic depression prevailing in the US at that time. A many number of gangsters were glorified as the modern Robin-hood, of looting the rich & distributing it among the poor like the Arthur Penn's film of 'Bonnie & Clyde'; Roger Corman's 'The St. Valentine day Massacre' & 'Butch Cassidy & the Sundance Kid'(69) by George Roy Hill, though produced much later were abridged from real life events produced in the later part of the 60s were a big success at the box-office. The times during the making of the crime-gangster genre of the early & modern era were socio-economically different in the 30s & the 60s. The 30s films occurred with the anti-social elements & mobsters very much alive on whom the movies were based. With the coming of sound, Warner Bros had produced the 1st gangster genre talkie film of Bryan Foy's 'Lights of NY'(28) showing that sound was a good medium to increase its impact on audiences, giving this genre, gunshots, screams & other audio effects & led WB to make more films in this genre. As strong censor-ship changed the genre's significant modifications that pointed out more on redemption, this variations in films like William Keighley's 'G-Men'(35);William Wyler's 'Dead End'; & Michael Curtiz's 'Angels with dirty faces' both in 1938 showed the mobster in a glamorized & making the mobster less central in films advising the youth against taking the mobster as a role model. In many ways these modifications ultimately led to its demise. Thus ending the classic era gangster movies which catapulted actors Edward G.Robinson,James Cagney,Humphrey Bogart, romanticized the figures of criminals portrayed by Cagney who was a co-founder of the Screen Actors Guild for more pay & roles, unique characteristics of his early NY life giving birth to many mannerisms such as his clipped way of speaking. After the end of prohibition the films made way for a much weaker portrayal of mobsters & the cops with the formation of FBI in the 30s a new Hero statue emerged. It was in such strong censorship & not glamorizing the gangster's status led to its eventual demise. 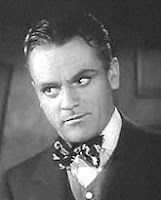 Though some stars of this genre broke from this typecasts receiving success as actors not in any genre but as a total actor, Cagney won an Oscar for Michael Curtiz's musical based on the 4 performers of the Cohan family 'Yankee Doodle Dandy' in 1942, & had patriotic base. E.G.Robinson though successfully revived his career was never nominated, died 2 months before the Academy Awards of 1973 where he was to receive a Honorary Oscar, known as the 'Renaissance Man' in the film world. Many stars couldn't revive their careers due to the typecasting & the coming of sound. 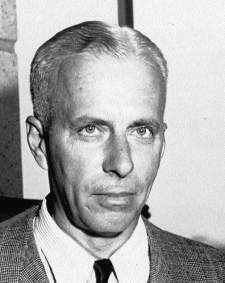 The end of this genre's classic era had such deep impact that films like Public Enemy & Scarface & Dead End that the modern era film-makers draw an inspiration & remakes are made to mark that golden age of the Crime/Gangster genre, such as DePalma's Scarface (83) credited the film as a memory of Howard Hawks. The genre would be a result of Film-maker's Francis Ford Coppola, Martin Scorsese, Michael Mann would go on to make films in this genre successfully keeping traces of the classic era of the Crime/Gangster genre in films like the critically acclaimed Oscar winning films like 'Godfather Trilogy of the (72-80s);'The Departed'(2006);'Good Fellas' & the most recent Mike Mann's remake of the 1931 film as 'Public Enemies'(2009) though it couldn't match up-to the 1931 movie based on the notorious bank robber John Dillinger & his cronies like Baby Face Nelson. A New style based on the org named Cosa Nostra the Sicilian Crime Syndicate or Mafia would go on to influence Hollywood as a popular theme making Al Capone, Frank 'The Enforcer' Nitti, Lucky Luciano, & many such gangsters a household name. Movie-lore's Splendor in the Movies. The Crime-Gangster genre.